The facelifted Renault Fluence sedan will go on sale in India from the 19th of March, 2014. The production of the Fluence has already begun at the Renault-Nissan joint manufacturing facility at Oragadam, Chennai. The car is imported into the country in completely knocked down (CKD) form and then assembled at the Renault-Nissan assembly facility here. 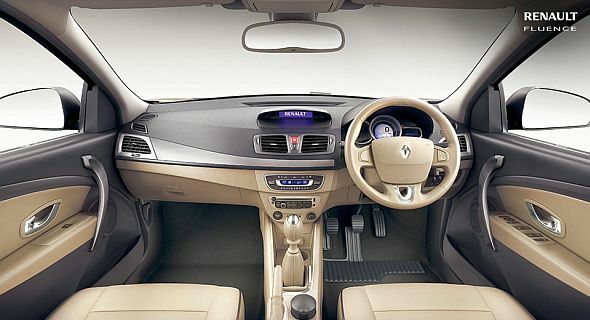 The facelifted Fluence was showcased at the 2014 Indian Auto Expo, where Renault India also announced the prices of the sedan. To be available in diesel-only guise, the Fluence Facelift’s prices range between 14.22 and 15.81 lakh rupees, for the E2 and the E4 variants respectively. Both variants remain mechanically unchanged from the outgoing version. The Fluence Facelift is powered by a 1.5 liter K9K turbo diesel engine. This motor is equipped with a variable geometry turbocharger that boosts its power to 108 Bhp while torque is rated at 240 Nm. A 6 speed manual gearbox powers the front wheels of the car. 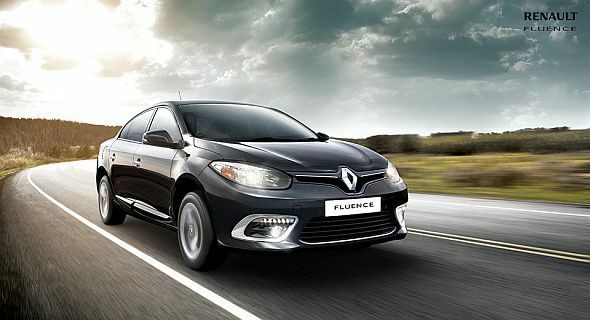 The Fluence Diesel is ARAI certified to deliver a fuel efficiency of 20.4 Kmpl. Click here to read why ARAI fuel efficiency figures seldom match your car’s real world mileage. Although unchanged mechanically, the Fluence Facelift gets refreshed looks and additional equipment. The front end of the car gets a revised grille, new bumper, projector headlamps and daytime running LEDs. The car also gets 16 inch alloy wheels in a revised design. On the inside, the facelifted sedan gets a new dashboard with a pop-out satellite navigation module while a revised instrumentation console rounds off the updates. Click here for the complete wrap up about the equipment list on both the E2 and E4 variants of the facelifted Renault Fluence Diesel. Renault’s next major launch in India will be the facelifted Duster SUV with a 4X4 option in tow. The facelifted Duster is Renault’s best selling car in India. The facelifted version of the SUV will be launched ahead of this year’s festive season.